Upgrade the drum brakes on your 1967-and-up Ford Dana 60 with our disc brake conversion kit! 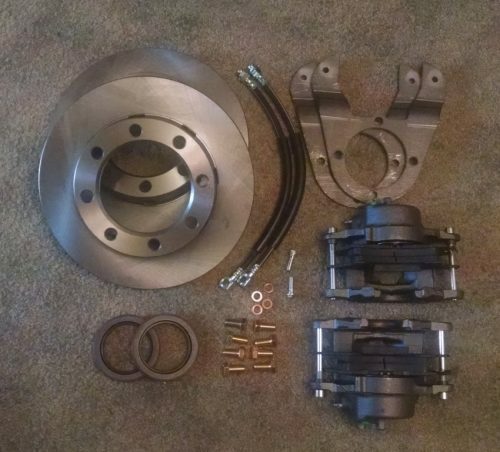 This Dana 60 drum brake conversion kit is for 1967-and-up Fords. Some years will require a washer that acts as a spacer between the bracket and the axle flange, so those washers are included in this kit. Kit includespart number list, so that ordering replacement parts is easy. Anyone with a basic understanding of brake systems will find the installation simple. Our only bit of advice: The rotor goes on the backside of the hub. 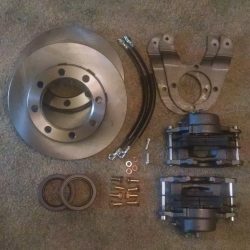 I bought the Dana 60 rear brake conversion kit for my 1979 Ford F-250 2wd. This is a high-quality kit for a great price and super fast shipping! Easy to follow instruction, quality parts, and hardware! 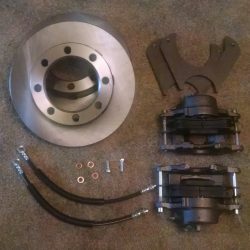 An easy to install brake conversion kit! Fantastic customer service, Shawn quickly answered all my question that I had. I’m very happy with the kit that I bought from Lugnut 4×4 and I’m happy that I bought it from them! I will always recommend Lugnut 4×4 for any brake conversion. 10 out of 10!